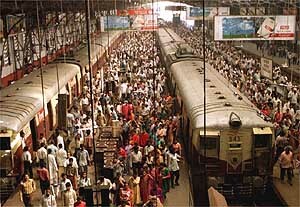 Rail transport is the movement of passengers and goods using wheeled vehicles, made to run on railway tracks. In most countries, this transportation method helps trade and economic growth. 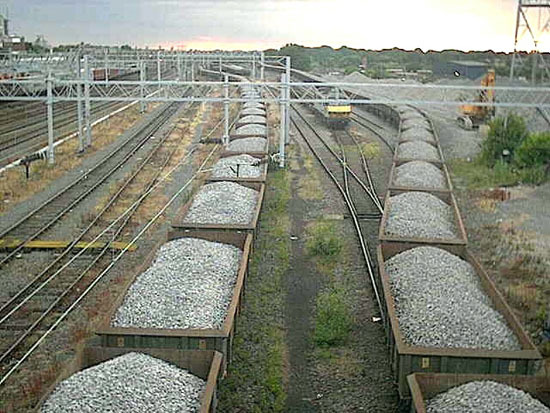 Railways provide an energy-efficient way to transport material over land. The railway tracks are a large part of the system and provide smooth and hard surfaces on which the wheels of the train roll with a little friction. 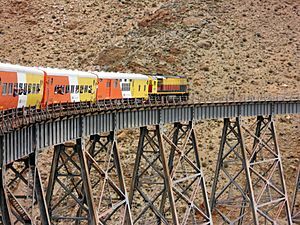 Also, the track spreads the weight of the train which means larger amounts can be carried than with trucks and roads. Rail transport started to be important in the Industrial Revolution. 0-Series Shinkansen, introduced in 1964, triggered the intercity train travel boom. Bardon Hill box in England is a Midland Railway box dating from 1899, although the original mechanical lever frame has been replaced by electrical switches. Seen here in 2009. 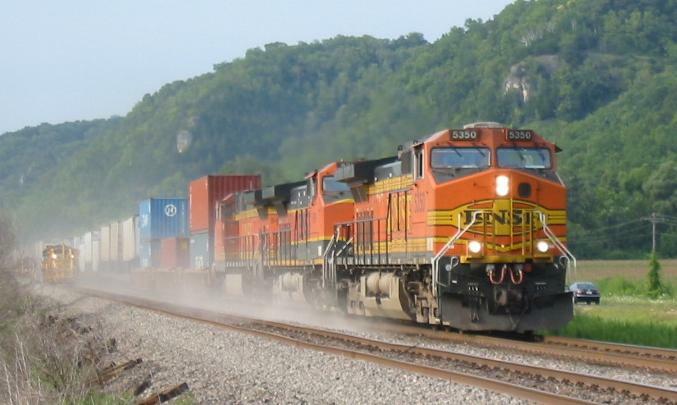 In the United States, railroads such as the Union Pacific traditionally own and operate both their rolling stock and infrastructure, with the company itself typically being privately owned. According to Eurostat and European Railway Agency, on European railways, there is a fatality risk for passengers and occupants 28 times lower compared with car usage. Based on data by EU-27 member nations, 2008-2010. Rail transport Facts for Kids. Kiddle Encyclopedia.